The Ilwaco shawlette is named for the tiny town of Ilwaco in Washington. In that tiny town is a tiny yarn shop. From that tiny yarn shop you can watch the waves dance. The thought of the surf bouncing against the docks and breaking against the shore inspired this little shawlette. As you knit you will see the surf form in the center of the shawl and the waves break in the edge as it beats against the shore. 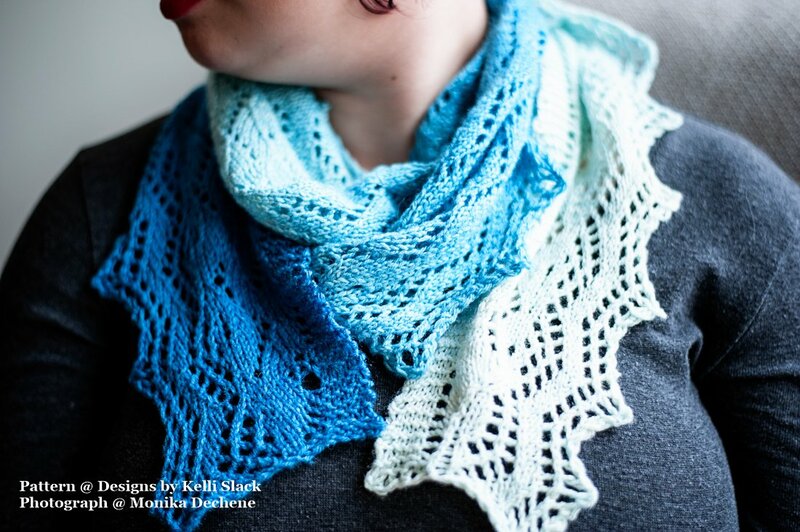 If you love the sea (or in my case the thought of the sea), you might just love this shawl.